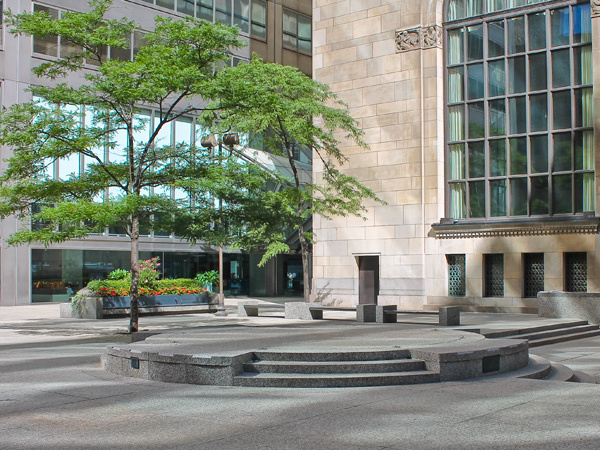 Ensuring developers make contributions toward the public realm rests on how the process is managed. Whether developers are perceived as purely profit-driven or act with a social conscience depends on how the parameters are set, as well as how public goals are defended and realized. What, then, is the role of the developer in the public realm? Mazyar Mortazavi, of TAS design build, notes that merely looking at a building from the vantage point of the property line constitutes an insular approach to development. Instead, he advocates for a collective approach to development that looks outwards toward the street: at the sidewalks, benches, and people who use them. Put simply, a vision of building a city, not just buildings. 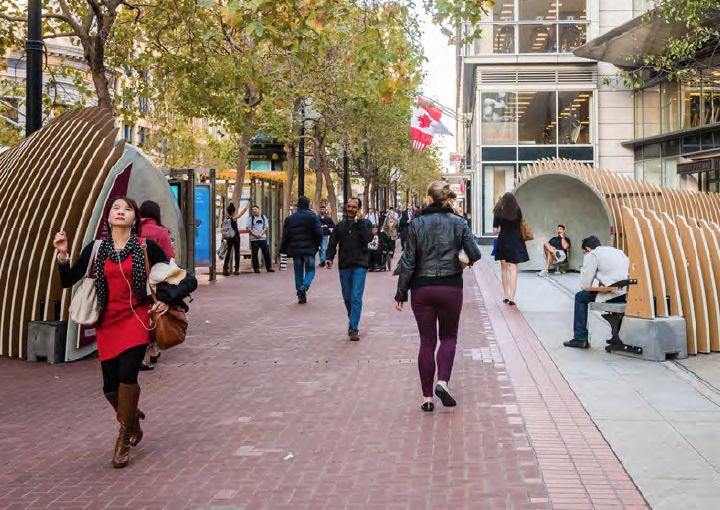 Building connections across disparate groups – city planning, city divisions, and developers – is the necessary groupthink work to realizing physical connections in the public realm. While cross-collaboration is far from a new idea, it rarely bears fruit. In this relationship both the city and the development community need to raise expectations of one another regarding the level of contribution to the public realm. To do so requires city officials to create an expectation that when you build a building you demonstrate care for what is outside on the ground floor. Raising this expectation also necessitates a perception change on the part of developers of seeing their building as one piece in a connected whole. Research shows that people perceive cities that build their public realm with a civic function to be more enjoyable to live in. Ensuring public goals are successfully advanced to achieve a quality standard begins with creating meaningful partnerships between planning and development. From there, communities and residents can participate in a development process with the human scale already in mind. As Architect and writer Ken Greenburg notes in his reflections on building thriving cities, “City-building is a two-way street.” Point taken. If Toronto wants to build cities with more than just buildings, they need to work developers, and we need to work with them. During the next few weeks, we will be rolling out posts about a research project which examines: in a time of increasing growth and reduced public spending in cities, how can we maximize the public realm as a shared interest? View a previous post with more information here. View the short report ‘Planning & Development’ here. View the final report ‘Investing in the Public Realm: Challenges, Opportunities, and Lessons for Toronto,’ supported by MITACS and ERA Architects through the ‘MITACS Accelerate internship program’ here. This blog post was prepared by Jeff Biggar. He is a PhD candidate in Planning at the University of Toronto and a MITACS Research Fellow. Learn more about Jeff here.